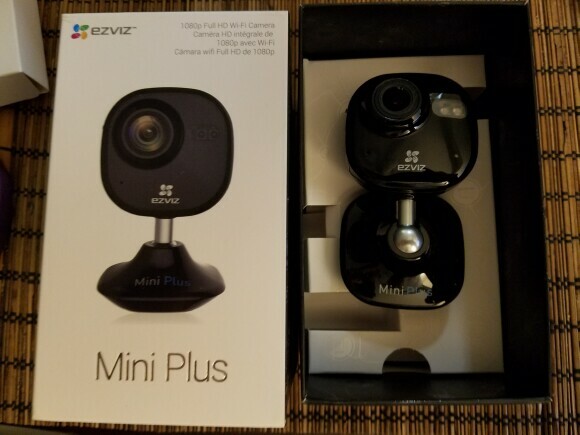 Continuing our TOV coverage of the "EZVIZ Mini" series, I take a look at the second camera of the bunch - the EZVIZ Mini Plus. In the past few weeks, I've become familiar with the EZVIZ app and cameras. And after playing with the Mini Plus, I have to say it raises the bar over the Mini O. 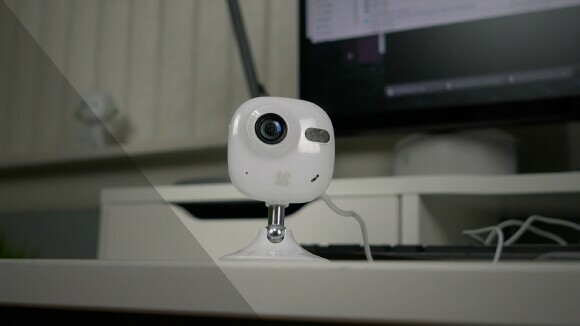 The Mini Plus is an IP security camera that's still considered entry level. But it takes things a step further with excellent 1080p video recording. 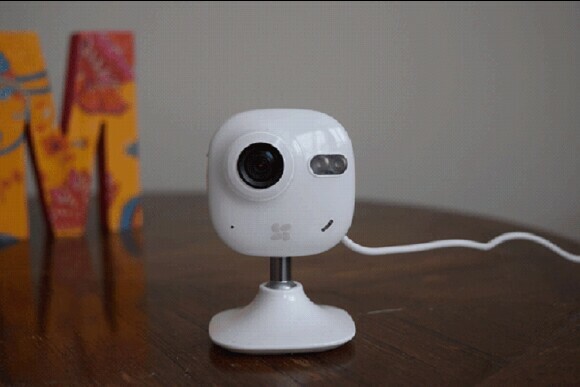 In addition, it has an increased viewing angle of 135 degrees and it can see a further with its night vision (IR LED). While the Mini O was more of an ocular shape, the Mini Plus goes a different route and is more angular, like a square with the lens slightly off-center because of the accompanying IR and status LED. Also, on the right-hand side, there is a cover for a Micro SD card. Turning it around towards the back is where all the important information is: mac address, barcode, and verification code (please keep those handy and safe). The base itself will rotate about 180 degrees and give you a forward and backward tilt of about 90 degrees; the whole device standing is only 3.35” X 2.16” so hiding it in plain sight isn’t difficult. 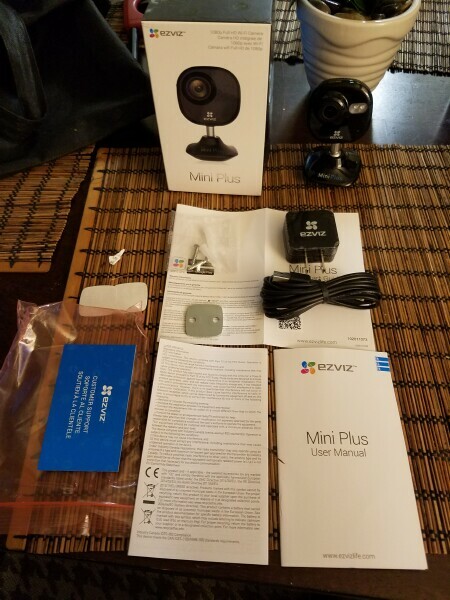 Overall, the unboxing and installation for the Mini Plus took about two minutes because I already have an account set up and I have a camera already in use. Side note - the camera Wi-Fi only works on 2.5 GHz. And if you have problems connecting the camera to your router, you can generate a QR barcode on your phone for your camera to scan and it will attach to your network via that route. The Mini Plus is an indoor camera, but I positioned it to view outside my front door as it gives me a very good view of the street from inside the house. I have a metal door panel, curtain rod that holds the magnetic base in place. However, I decided to zip tie the metal mounting plate as to give it more of a secure fit. And just to make it less visible, I went into the settings and I turned off the status light and the motion detection “beep” alarm. It's an added bonus combined with having dark curtains and being able to rotate and fold the base at an angle that makes the physical area of the camera look smaller from the outside. Revisiting the EZVIZ app, which has one of the best user interfaces (UI), I've had the chance to experience, I've learned something; when I initially setup the Mini Plus, I realized it was upside down when I went to check out my video. But with the app or web portal, I learned I could flip the image with just a quick press of a button. So, it doesn't really matter how I set up the camera because I can always correct it within the app. That's actually pretty cool! Also, as a reminder and a repeat from my previous review, the Mini Plus can record standard as well as hi-def video. And you can store video and images locally on an SD Card or you can use the "EZVIZ Cloud Service" (monthly paid subscription). Right out the box, the Mini Plus one comes packaged with screws! OK, now that I've gotten that out of my system, let's get into the meat of my review. 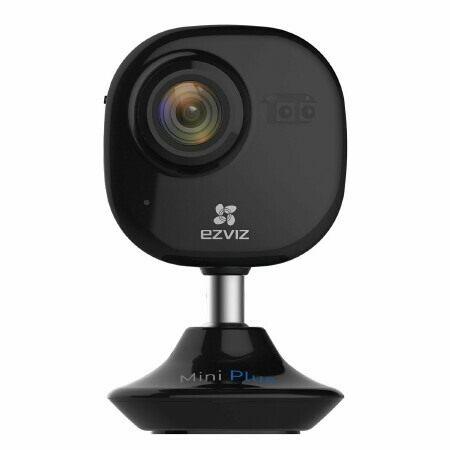 The EZVIZ Mini Plus is seriously a step up from its predecessor as it offers the same easy setup and excellent app interface, but now you get a better, more versatile install (thanks to those screws) and a higher quality video, which looks amazing during the day or at night. But here's the real reason why I like the Mini Plus (and after this tale, I think you'll like it too). I had a bunch of drunks banging on my door at 2 am, which is a rare event. In the process of their fun, they cracked one of my windows, all of which was captured by the Mini Plus. I called the police to have them come take a look around and I mirrored the 1080p video from the Mini Plus to my TV via Chromecast. 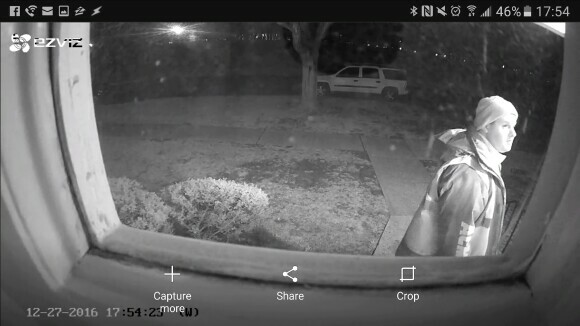 And I have to say it was nice to have clear video of the idiots banging on my door while cracking the glass with a time stamp. What made it even better was I was recording it on my phone, allowing me to transfer it to USB and pass along the information to the Sergeant on duty. And even he was impressed at the clarity of the video and how quickly I was able to get him the info. 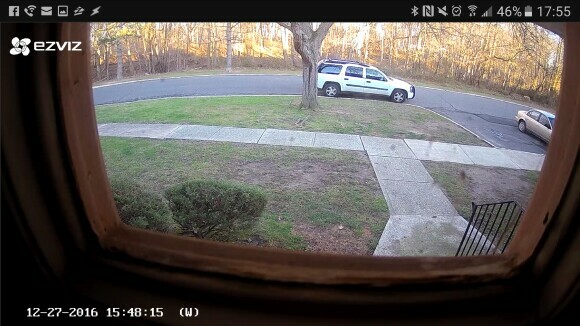 Finally, I've learned to integrate better with IFTTT, so when I arrive home, the cameras alerts stop until bed time. And then switch back on when I leave for the day. This makes false alarms and alerts less frequent when I’m obviously home. Not really a "slack", more like a suggestion. But is there a way that we can get both the base and the camera to rotate or at least angled at 90 degrees, just so I can hide the base behind the camera and get a proper angle? After some spending quality time with EZVIZ Mini Plus, I have to say its done better than I expected. The camera offers great ease of use and amazing video quality. While the Mini Plus stands strong, there's still one more camera to go. 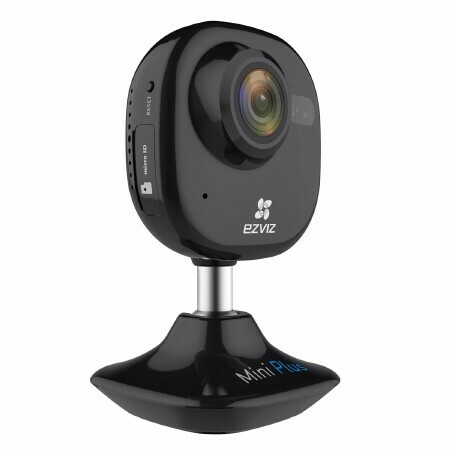 But for now, out of TOV 5 stars, I'm giving EZVIZ Mini Plus a TOV 5 stars out of 5.